Ford Transit is among the world’s oldest panel vans still in operation. It was first launched in 1965 and has been the best seller among light commercial vehicles in Europe for the past 40 years. When you buy from the Ford Transit range, you know that you’re not just getting a van, you’re getting 40 + years of perfected engineering. Despite the fact that the Transit now shares the market that it once dominated, it’s still a main player and highly regarded for its good qualities. Ford Transit Connect is available in two variants: van cargo and five-seat wagon passenger models. Further, van cargo is available in XL or XLT trims, while the passenger van is available in XLT or XLT Premium configurations. A 2.0-litre, four-cylinder gas engine means that this van is not a fuel guzzler and gives good mileage. With the horsepower of 136 @ 6300rpm, Ford Transit Connect zooms past the on-road hurdles without too much fuss. This van has a fuel tank capacity of 58 litres to give you peace of mind for the rest of your journey. The latest generation Transits are available in a wide range of variants, you can choose from 3 different wheelbases, 4 road lengths and 4 roof heights – not to mention the many body selections. The most popular models are the 2.0 litre TDCi and the 2.0 litre diesel as they’re very affordable and you still get the fantastic quality. Whichever Transit you may own, you can rest assured that you will have an elegant and versatile load box, ABS brakes and an all round reliable van with an excellent reputation for safety. You’ll find that the loading bay has perfect dimensions and sliding doors, making your job just that bit easier. Ford Transit is a small enough van to offer excellent maneuverability in tight spots and sharp turns. Although the interiors are quite basic, yet they are intuitively designed to give you a functional feeling. Its high roof gives the taller passengers considerable leeway in terms of comfortable seating, besides slightly bigger cargo can easily fit in without any fuss. Utilitarian is the word that best describes Ford Transit. Apart from several comfort features, this van is extremely safe to drive. The 4-Wheel Disc Brakes keep you safe from sudden obstructions on the road. Daytime running lights and traction control are some of the other comfort features built in Ford Transit. 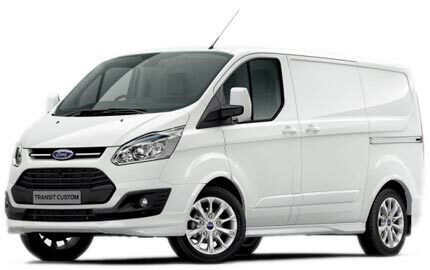 If you are looking for a no non-sense utility van for your commercial enterprise, Ford Transit is your best bet. Rest assured, this van won’t disappoint you. Got a Ford Transit to sell?